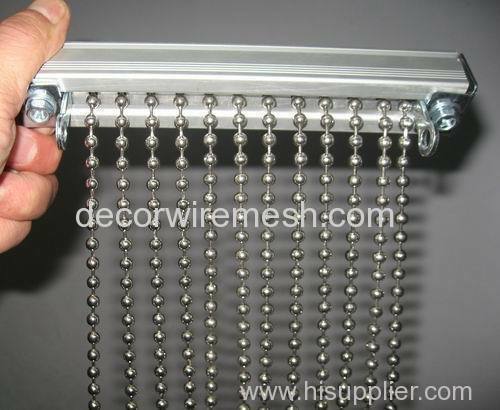 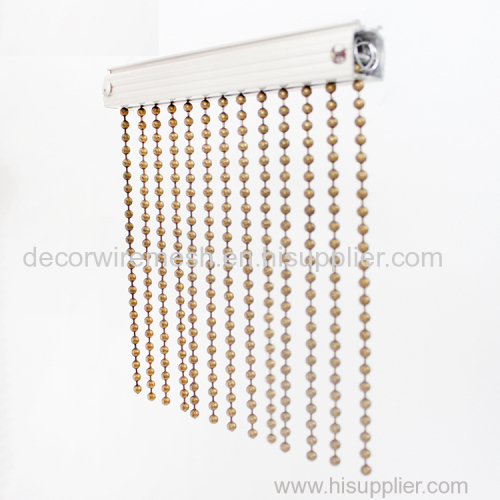 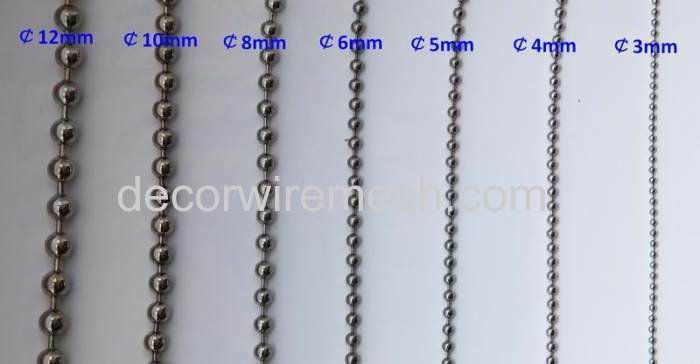 For this kinds of bead chain , the common material in market is plastic , but ours is in metal , both c-steel and stainless steel material are available . 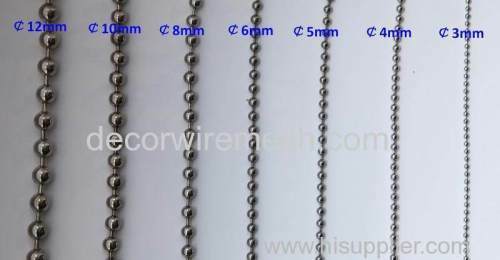 Usually if you use inside, the c-steel material will be ok, its price is lower . 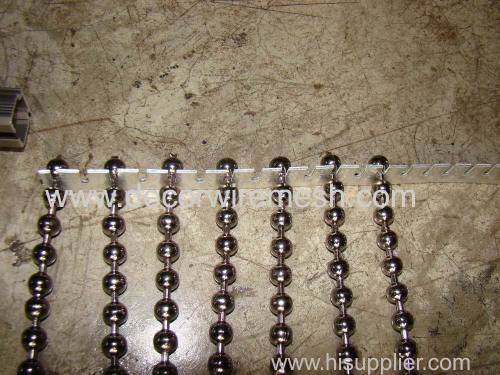 but stainless steel material will be needed if you use outside , because this material is more rust-resist . 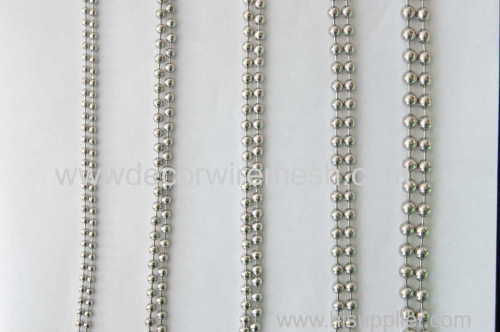 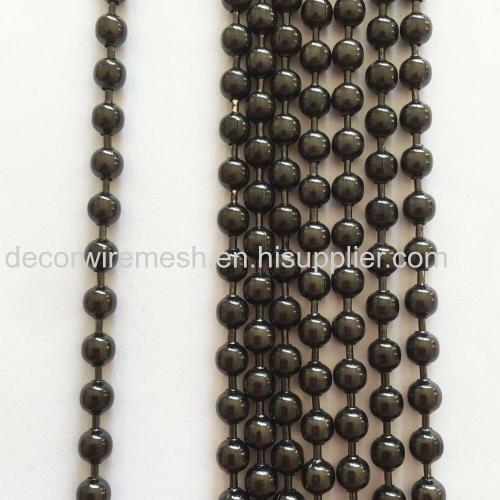 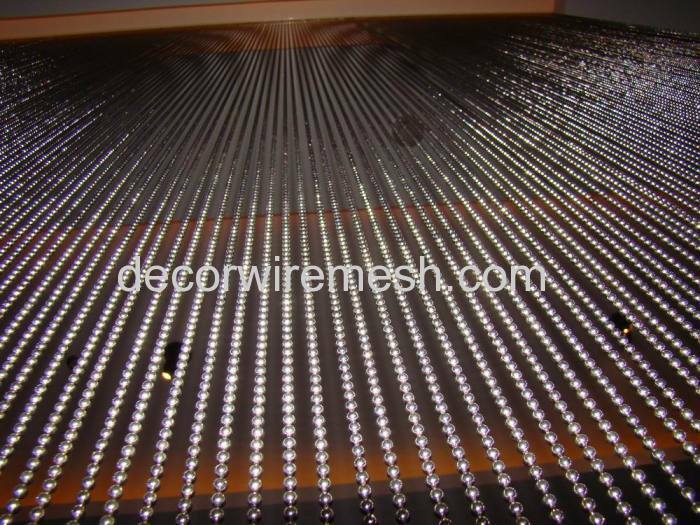 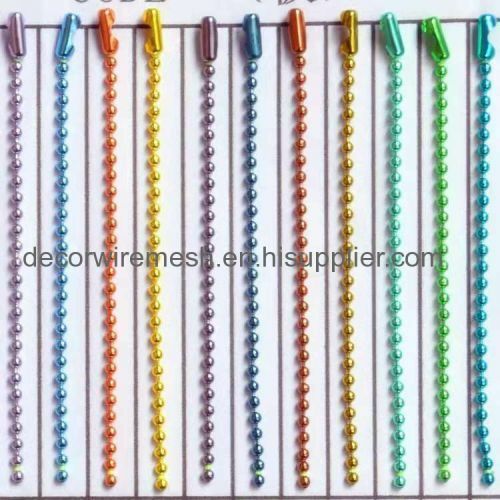 We have various bead size for your choosen , the bead size is ranged from 3mm to 12mm . 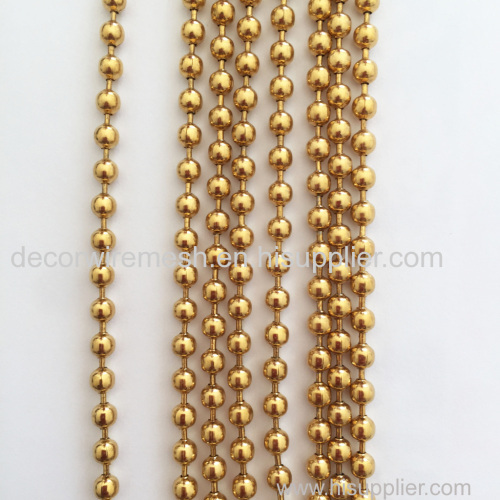 we have our own color sample , but you can also give us the color you want , customize is available . 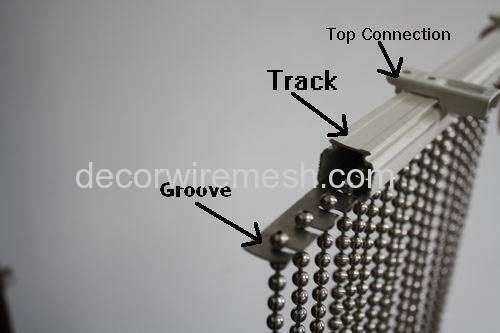 We will provide you the whole set track and accessories for your easy installation . 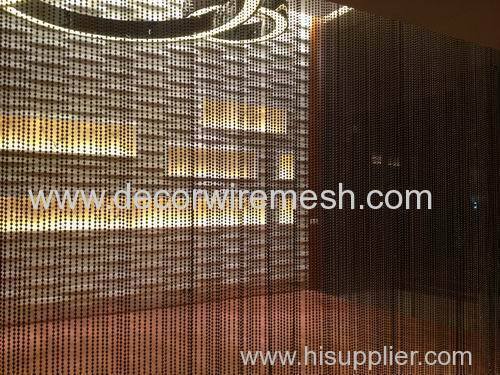 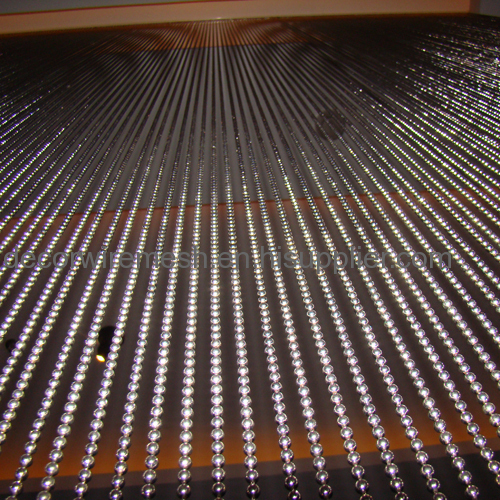 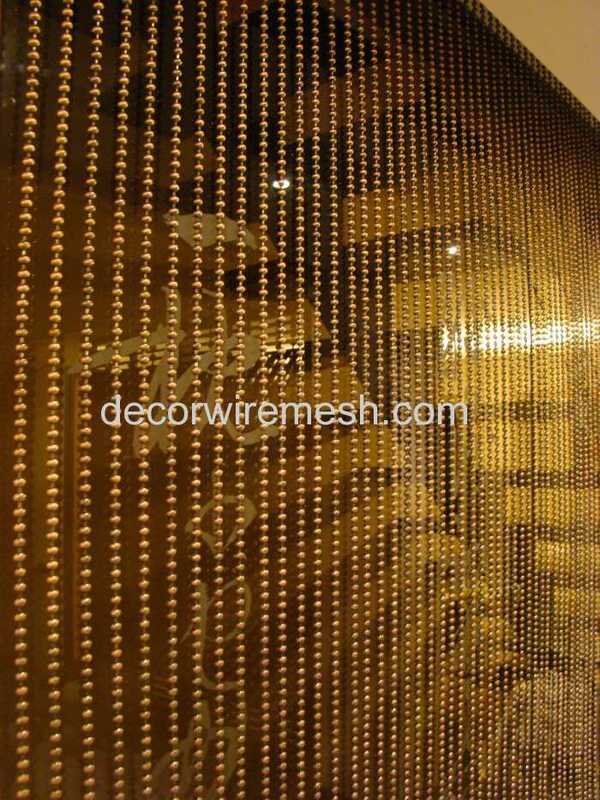 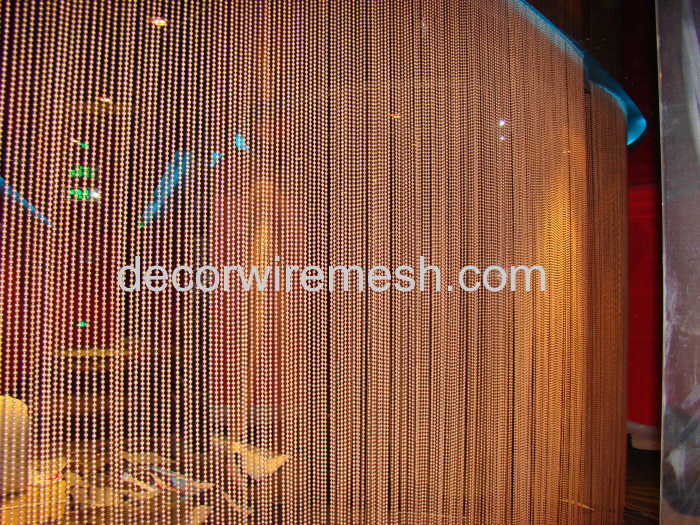 Widely used as partiton screen , or to make some art shape etc , under light ,it is very shine .